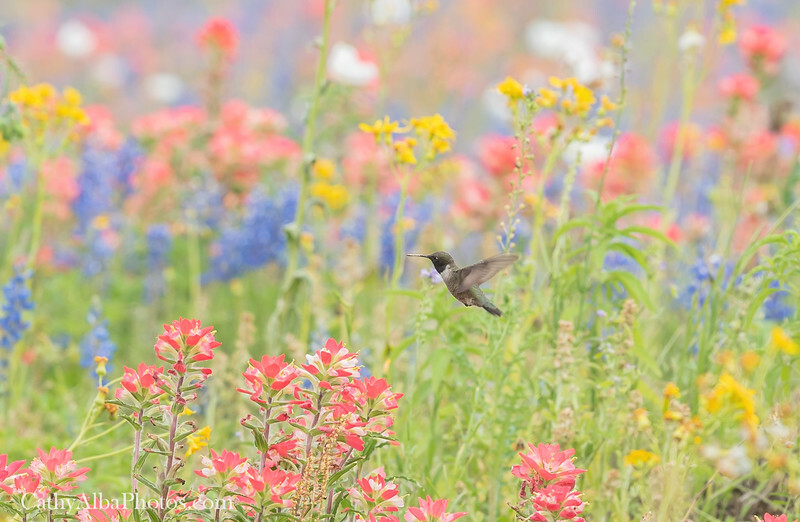 Cropped image of a black-chinned hummingbird flying through the Texas wildflowers in Poteet, Texas. Largest size available for this cropped image is 24X15. Full-sized image available on my site.